Guillermo Ochoa who is known by the nickname “Memo” is a soccer player who has gained attention due to his brilliance, outstanding talent and breathtaking saves. His most notable performance was against the Brazil national team in the 2014 FIFA World Cup. He was called up for the Mexico national team for the 2018 World Cup in Russia. Read to know more about him – his net worth, relationships and biography. Guillermo Ochoa is a Mexican soccer player (goalkeeper) who was born as Francisco Guillermo Ochoa Magaña on July 13, 1985. He was born in Mexico and his birthplace is Guadalajara, Jalisco. He is also popularly referred to as “Memo”, especially in his home nation and his zodiac sign is Cancer. For his ancestry, Ochoa is of Hispanic descent and holds Mexican nationality. There is little or no information available as regards Ochoa’s family, parents, siblings or early life. His educational details, such as the high school or college he attended or the year he graduated or the course of study is not known available or probably non-existent. 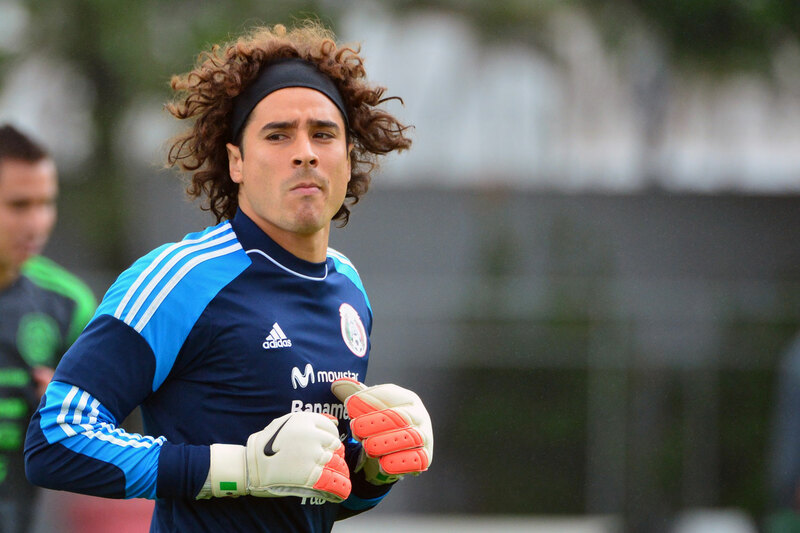 Guillermo Ochoa’s professional career began when he was 18 years. He started playing for Club América also known as Las Águilas (The Eagles), a club based in Mexico – in the Mexican professional soccer league widely referred to as Liga MX. It is said that he was called up to the senior team in 2004 by the then-coach of the club, Leo Beenhakker. The fact that he was called up, means he probably played for the club’s youth teams even though it is not officially stated and the actual dates are not given. He was thrust onto the main stage, despite his age, following an injury to the club’s first choice and no. 1 goalkeeper, Adolfo Ríos. His potential and abilities shone like a thousand stars and before long, he was sharing goalkeeping duties with the veteran goalkeeper upon his return from injury. He went on to cement his place as the club’s first choice following the retirement of Ríos until the club brought in a new coach who had other ideas. Coach Oscar Ruggeri came in and decided Ochoa was not what he had in mind. 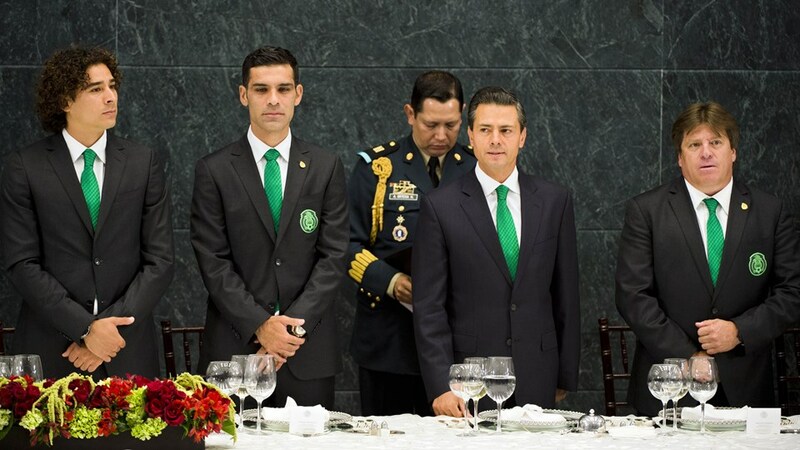 He brought in fresh faces including the Argentine goalkeeper, Sebastián Saja, and young Guillermo Ochoa had to be content with being at the background. But the tide soon changed as quickly as it came and coach Oscar was on his way out of the club, along with the personnel he brought, following controversies that trailed his short stay at the helm, and so fortune smiled on Ochoa again as he was restored to the team’s line up by new coach, Mario Carrillo. He went on to consolidate his place between Club América’s posts by posting more and more brilliant performances for the team. He was never missing in any game for Club América, except for injury or international duties. His club, América, won the championship and the Campeón de Campeones cup in 2005 and they followed it up with the 2006 CONCACAF Champions’ Cup and Ochoa was at the center of everything good that was going for the club at the time. For his efforts, he was included in the list of Ballon d’Or candidates by French magazine, France Football in 2017, which was a big deal because he was one of only three players to be nominated who do not ply their soccer trade in Europe. As his stock continued to rise, he attracted the attention of the big clubs around the world and one of those clubs was French Ligue1 giants, Paris Saint Germain (PSG). PSG had lined up a contract for the Mexico international in 2011 after acknowledging his fine performances. But a failed drug test after a Gold Cup match in 2011 meant the contract never happened’ And even though he and fives others involved in the scandal were cleared two months later, the PSG contract was long gone, leaving him with Ligue 1 strugglers, Ajaccio as his only route to play in Europe, which has been his long-term dream. He spent three seasons at French side, Ajaccio and in that time, Guillermo Ochoa played 112 matched and made over 400 saves, however, his heroics against Brazil in the 2014 FIFA World Cup adding to the fact that Ajaccio was relegated in the Ligue 1 2013-14 season, meant he would leave the side definitely. La Liga side, Málaga CF came calling and Ochoa was airborne to Spain and joined them on a three-year contract. His time at the club didn’t pan out as he would have hoped because the preferred first choice was the Cameroonian goalie, Carlos Kameni. He spent his first season on the bench with his only game time, being a cup tie against Deportivo de La Coruña which ended in a 1-1 draw. Guillermo Ochoa, Rafael Marquez, President Enrique Pena Nieto and Coach Miguel HerreraAfter leaving Granada, Guillermo Ochoa decided not to return to Malaga but to join the Belgian club Standard Liège after signing a two-year contract. He got his first call-up to the senior Mexico national team side in 2005 for the 2006 FIFA World Cup. He made his debut in a friendly against Hungary and even though he never played a game throughout the tournament as he was third-choice. After the World Cup, he was still in the team as a back-up to the then Mexico first choice, Oswaldo Sánchez. He was part of the Mexican team in the 2010 FIFA World Cup in South Africa and was still a back-up to Óscar Pérez. He failed to play a single game in the 2006 and 2010 World Cups but became Mexico’s first choice goalkeeper in the 2014 FIFA World Cup. Ochoa was chosen as man of the match in two games for his outstanding performances in the Mexico goal post, including his brilliance in goal against Brazil, where he made saves after saves as the match ended in a goalless stalemate. He was also named in the Mexico team for the 2018 FIFA World Cup in Russia. Guillermo Ochoa is not yet married but is currently in a relationship. He dated Dulce Maria, a Mexican actress and singer in 2006. Their relationship did not last for long as it ended the following year – 2007. Moving on from Maria, he met Karla Mora while playing in the French Ligue 1 side, Ajaccio. Karla is a model from his home country, Mexico. Though not married yet, the couple has welcomed two children – Lucciana and Luciano Ochoa. Their daughter was born on February 8, 2013, while their son, who is the second child, was born April 1, 2015.